What is cash programming in emergencies? Cash programming is when cash is given directly to people or communities affected by a disaster or conflict. The aim of using cash in a humanitarian response is to enable a quick, dignified and effective recovery process. 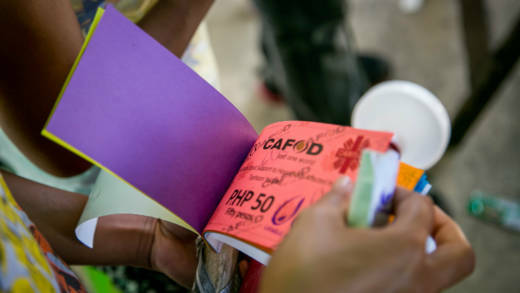 After Typhoon Haiyan, our partner Catholic Relief Services (CRS) used cash so households could purchase shelter materials and hire workers. CRS also trained people in disaster-resilient construction techniques and monitored quality of the construction before the next cash disbursement was made. People said they preferred cash transfers over direct construction, as it gave them more choice in terms of time, materials and design of their new home. Cash transfer – cash is directly transferred to individuals, households or communities. Cash voucher – a paper, token or electronic card that can be used to purchase goods. Commodity vouchers – these can only be exchanged for a specific commodity or set of commodities. Cash for work – payment (in cash or vouchers) is provided as a wage for work, usually in public or community programmes. These options could be either conditional or unconditional, with or without restrictions based on the identified needs and context. Why use cash? And what are the advantages of using cash? Cash is a dignified form of aid as it enables people to make their own decisions regarding their recovery needs. Cash ensures people get exactly what they need. Cash increases market movement and strengthens local economies. 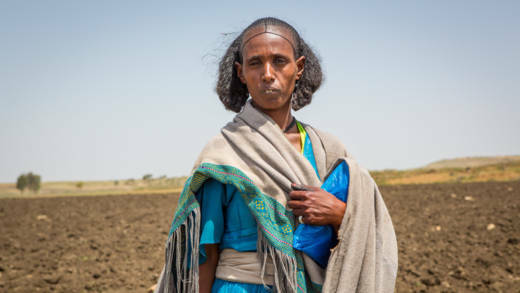 CAFOD has been using cash to help families suffering from severe drought in Northern Ethiopia. Providing direct cash transfers gives vulnerable families such as Herit, a mother of five living in the rural village of Arato, the autonomy to buy the items that meet their needs rather than face long term dependence on food packages. How do we ensure cash is being used for the right purpose? We work with our local partners to encourage communities to participate in assessments and in identifying their needs. The decision for cash provision is based upon individual and community readiness, available resources and the ability to access markets and commodities. This guides which type of cash programme is used and whether conditional or unconditional cash is provided. Our partners track the use of cash through regular monitoring, providing support and advice to individuals and communities where appropriate. 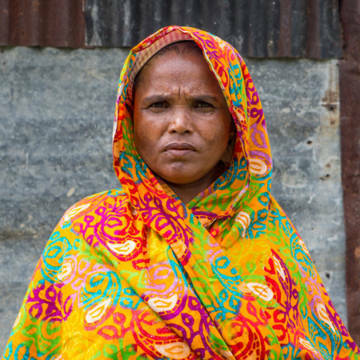 Feedback and documentation from the Humanitarian Coalition, has shown that people don’t usually misuse the money they receive, but rather focus on essentials such as food, medicine and shelter.